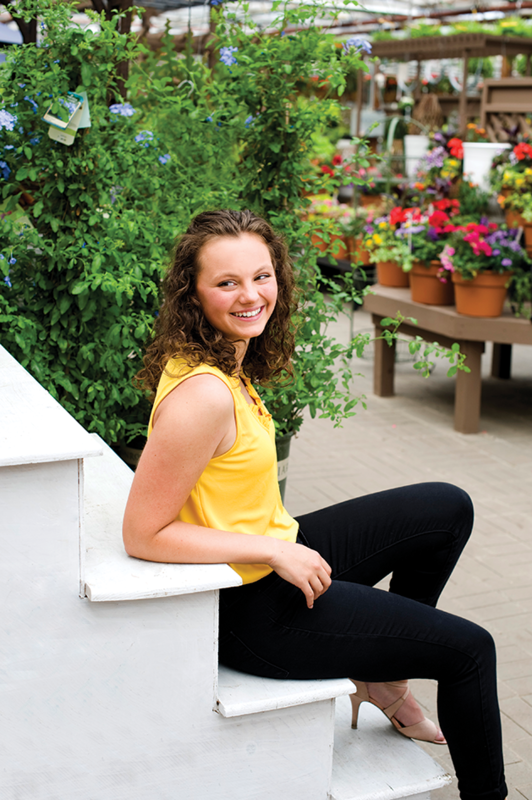 We caught up with some of the Lake Minnetonka area’s class of 2019 seniors to talk about their passions and dreams as they begin their final year of high school. 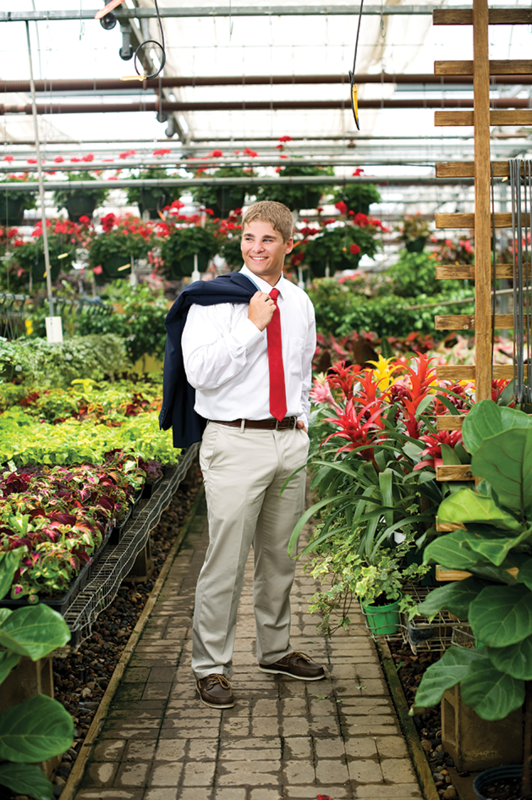 Each year for our Prep Elite feature, we ask local high school faculty and administrators to nominate students who are exemplary in academics, sports, volunteerism, the arts, or other areas of their lives. We’re never disappointed. This year, we talked with seniors who have a strong sense of purpose; they know where they’re headed. And they certainly plan to blaze their own trails; the first question we asked each of them was, “What sets you apart from your peers?” Their answers didn’t disappoint. Lauren Tiffany Cooper is captain of her high school’s performance dance team, fluent in Spanish and an avid volunteer in her community—from assisting in Spanish classes at Groveland Elementary to volunteering at Children’s Hospital—among many other things. 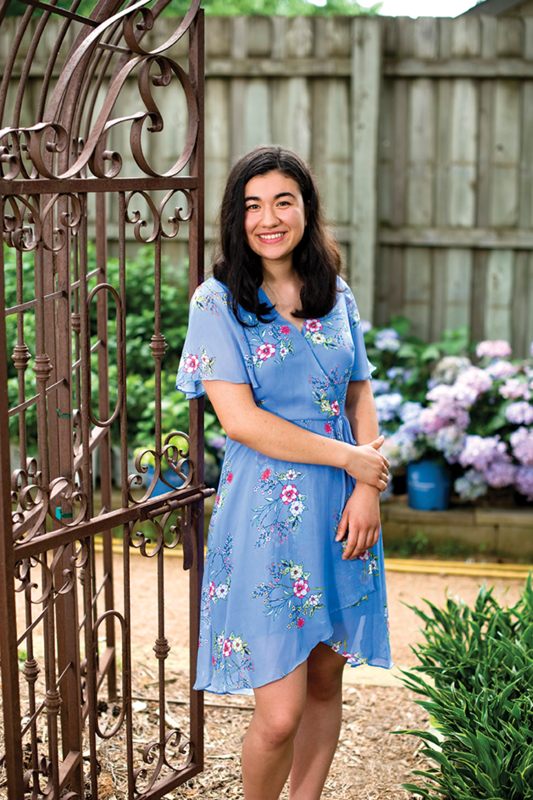 With her knowledge of the Spanish language and her affinity for science, she dreams of practicing medicine in South America. My tenacity, commitment to excellence and my ability to thrive in diverse environments. 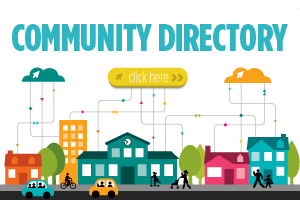 What inspires you to serve in the community? My passion to serve in the community stems from my desire to help others and interact with people. I learn something from everyone—from kindergartners to senior citizens. What’s your favorite hangout spot on the lake? The Port of Excelsior and Excelsior Beach. As a little girl, I remember going there to enjoy the beach, swings and ice cream. If you could choose any influential historical figure to join you for lunch, who would it be? Condoleezza Rice. I’d like to ask her about her journey— past, present and future—key points of what she learned, and what she would do differently. Lauren Kelly is a three-sport athlete, co-captain of the Hawkettes dance team, a member of the high school’s wind ensemble and a participant in DECA business club (among other things!). Lauren also finds time to give back to her school community through participation in Link Crew, Harbour Group and Band Council, all activities where she strives to make other students—from incoming eighth-graders to foreign exchange students—feel welcome. My constant effort and hard work, and my positivity. Which influential, historical figure would you choose as a role model? Eleanor Roosevelt. She was such a great model for activism, and she was one of the first women in American history to be an active participant in politics. I would most likely start a marketing or finance consulting organization. “Now Is Our Time,” referring to the voices of the younger generations, minorities and gender equality. 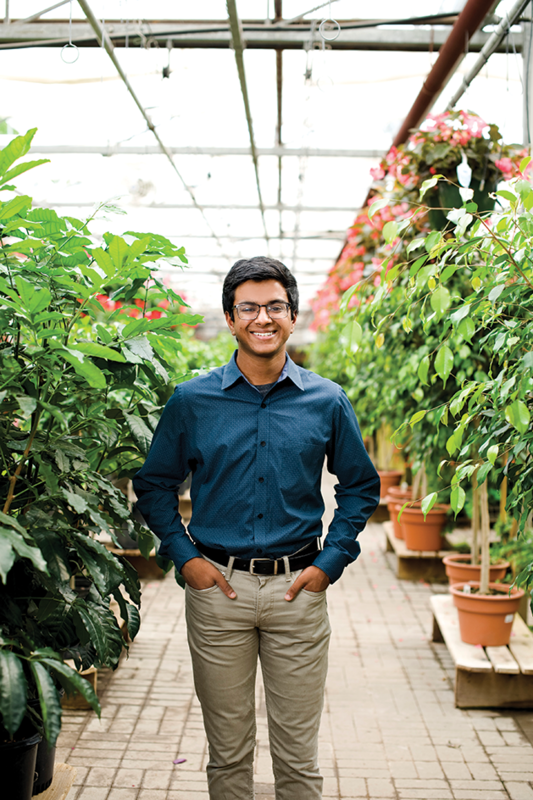 From his volunteer work—both local and across the world—to creating a drone to help with search and rescue missions, we can only imagine what Parthiv Krishna’s bright and creative mind has in store for the future. I have a varied set of passions, and have taken many of these interests to an extremely high level. What inspires your fondness for science and robotics? 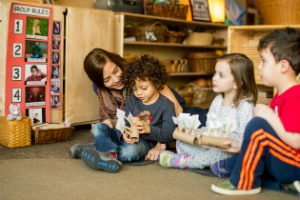 How does volunteering play a part in your own education? My mother’s childhood friend in India had started a school in rural Kechla, Odisha, India, so I asked my classmates to help me collect school supplies so I could take them on my next trip to India. I have been going to the Auro Mira Vidya Mandir ever since. I have also been able to further my own passion for robotics by volunteering to mentor the new middle school robotics team at Minnetonka. Tell us more about your work to design a drone to help with search and rescue missions. Essentially, the project involves the hardware and software design of an autonomous drone that can enter a building, fly around, and rapidly generate three-dimensional maps that first responders can use to navigate. With his vast and varied interests and his desire to give back through volunteer work— at his church and in the community— Kristopher Kurtz is literally striving to do it all. I am a very involved individual. I am able to connect with people from sports, and people from music and theater all in the same day. In my freshman year, we did a production called Little Shop of Horrors. I loved this play, because I got to be the puppeteer of the huge man-eating plant. It was such a unique experience and I will never forget “eating” three of my peers. Practicing medicine at a hospital. Carianna Spencer is co-editor of her school’s newspaper, and she dreams of pursuing journalism. This summer, she’ll travel to D.C. for the Al Neuharth Free Spirit in Journalism conference. She’ll also visit Taiwan, the country where many of her family members live. I’m lucky to have already discovered what I love and to have the drive to pursue that discovery. What inspires your love for journalism? Sophomore year, Journalism I class. My newspaper advisor, Mrs. Herring, taught a unit on media ethics, and from then on I was hooked. Journalists are instrumental to a democracy; they are archeologists of truth and government watchdogs, and on top of it all, they get to learn about the world and ask questions every day. How has traveling to Taiwan helped shape your education? Each time I visit my grandparents in Taiwan, I gain a greater appreciation for how beautiful and diverse the world is. And if I’m stressed out, I just think about the mountains and night market food, and everything feels better. Since our theme this year is “bright,” we wanted to set up our photo shoot for this story at a location with lots of natural light. Tonkadale Greenhouse, thank you for hosting us in your verdant space!